A relatively small arsenal of drugs can stabalize and manage most dogs with this disease, improving quality of life and long-term outcomes. 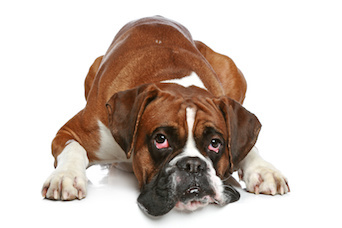 Canine heart disease can be insidious, remaining clinically silent for years. When dogs decompensate and develop congestive heart failure (CHF), they can present in critical condition. Stabilizing them takes quick thinking and decisive action, but which medications are the most useful to keep on hand? What are your go-to drugs in an acute situation? What about patients that are stable and need reliable chronic therapy? In 2009, the American College of Veterinary Internal Medicine (ACVIM) published a consensus statement summarizing its recommendations for managing acute and chronic CHF in dogs.1 It turns out that most dogs with CHF secondary to atrioventricular valve disease or dilated cardiomyopathy can be managed adequately with a relatively small collection of drugs. In acute situations, these medications include furosemide, pimobendan, and specific emergency therapies (supplemental oxygen, sodium nitroprusside, and sedatives to manage anxiety secondary to dyspnea). In a chronic setting, the ACVIM panel recommends furosemide, an angiotensin-converting enzyme (ACE) inhibitor, and pimobendan.1 Most of these drugs have multiple effects and benefits, so it’s useful to understand how they fit into the therapeutic puzzle. For many clinicians, furosemide is the diuretic of choice for patients with pulmonary edema, pleural effusion, or ascites, largely because clearing accumulated fluid is an early therapeutic goal that is essential for patient stabilization. 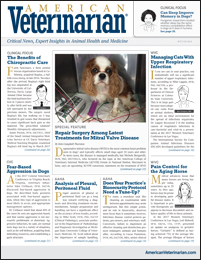 When Should Mitral Valve Disease in Dogs Be Treated? Another diuretic, spironolactone, is advantageous when potassium sparing is required and can be given concurrently with furosemide in patients that don’t respond adequately to furosemide or torsemide alone. Hydrochlorothiazide, a thiazide diuretic that inhibits reabsorption of sodium, water, and chloride in the distal renal tubules, is sometimes used with furosemide in dogs that are refractory to furosemide monotherapy or to combined therapy with furosemide (or torsemide) and spironolactone. ACE inhibitors are important for counteracting CHF-associated vasoconstriction and inhibiting fluid retention. In long-term management of CHF, an ACE inhibitor has the advantage of reducing ventricular load. These drugs also help protect the heart, kidneys, and blood vessels from renin-angiotensin-aldosterone–associated injury.2 The most frequently used options include enalapril (0.25-0.5 mg/kg orally twice daily) and benazepril (0.25-0.5 mg/kg/day orally). Renal values and electrolytes should be monitored through-out therapy. Pimobendan is often described as an inodilator because it has both positive inotropic and vasodilatory effects. This important cardiac drug has become a mainstay of CHF therapy, and the ACVIM consensus statement considers it appropriate for managing both acute and chronic disease at a dose of 0.25 to 0.3 mg/kg orally every 12 hours. 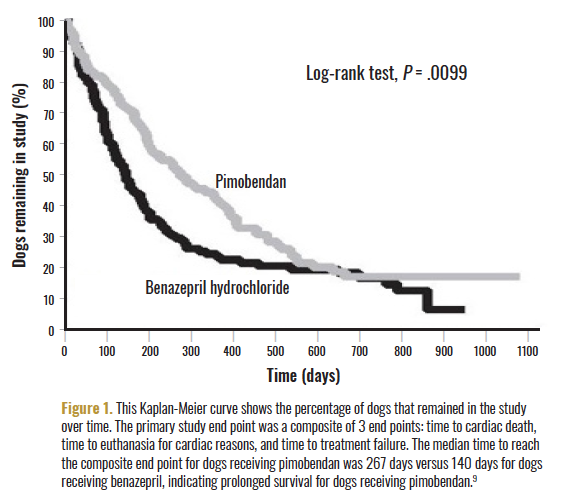 Studies have shown that pimobendan can improve and extend life span for dogs with CHF. 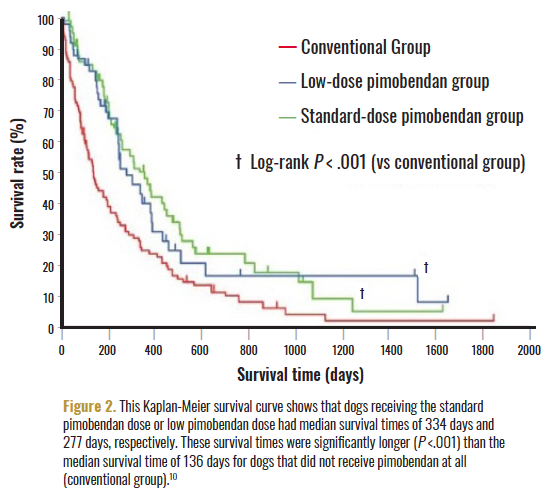 8-10 In 1 randomized, multicenter, blinded study, dogs with CHF that received pimobendan survived significantly longer (median, 267 vs 140 days) compared with dogs not given pimobendan (Figure 1). Prolonged survival and reduced recurrence of pulmonary edema for dogs receiving pimobendan were further demonstrated in a 2017 multicenter study of dogs with CHF. In this retrospective study, 1 group of dogs received pimobendan at standard doses (0.20-0.48 mg/kg orally every 12 hours), another received low-dose pimobendan (0.05-0.19 mg/kg orally every 12 hours), and the third group received no pimobendan.10 All the dogs received conventional medications such as diuretics and ACE inhibitors. The investigators found that dogs receiving either dose of pimobendan lived significantly longer and were less likely to experience recurrence of pulmonary edema than were those receiving conventional therapy that did not include pimobendan (Figure 2). These positive effects on clinical signs and longevity underscore the importance of pimobendan therapy for dogs with CHF. Because most causes of CHF are irreversible, treatment focuses on alleviating clinical signs, improving quality of life and hemodynamic status, and prolonging survival. Therapeutic options include medications and dietary modification, and advanced modalities such as gene therapy are on the horizon. Of course, not every patient will respond the same way, so the best approach is to individualize treatment based on diagnostic findings and the patient’s needs. Atkins C, Bonagura J, Ettinger S, et al. Guidelines for the diagnosis and treatment of canine chronic valvular heart disease. J Vet Intern Med. 2009;23(6):1142-1150. doi: 10.1111/j.1939-1676.2009.0392.x. Bonagura JD, Keene BW. Drugs for treatment of heart failure in dogs. In: Bonagura JD, Twedt DC, eds. Kirk’s Current Veterinary Therapy XV. Philadelphia, PA: Elsevier Saunders; 2014:762-772.  Plumb DC. 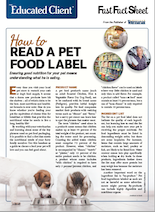 Plumb’s Veterinary Drug Handbook. 8th ed. Hoboken, NJ: Wiley-Blackwell; 2015. Chetboul V, Pouchelon JL, Menard J, et al; TEST study investigators. Short-term efficacy and safety of torasemide and furosemide in 366 dogs with degenerative mitral valve disease: the TEST Study. J Vet Intern Med. 2017;31(6):1629-1642. doi: 10.1111/jvim.14841. Boswood A. Heart failure: clinical management. In: Ettinger SJ, Feldman EC, Cote E, eds. Textbook of Veterinary Internal Medicine. 8th ed. St. Louis, MO: Elsevier; 2017:1163-1176. Vetmedin [prescribing information]. St. Joseph, MO: Boehringer Ingelheim Vetmedica, Inc; 2013. vetmedin.com/documents/vetmedin_pi.pdf. Accessed August 3, 2018. Keene BW, Bonagura JD. Management of heart failure in dogs. In: Bonagura JD, Twedt DC, eds. Kirk’s Current Veterinary Therapy XV. 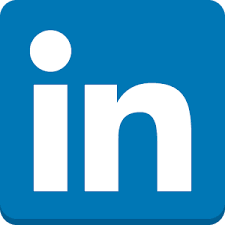 Philadelphia, PA: Elsevier Saunders; 2014:772-784. Lombard CW, Jöns O, Bussadori CM. Clinical efficacy of pimobendan versus benazepril for the treatment of acquired atrioventricular valvular disease in dogs. J Am Anim Hosp Assoc. 2006;42(4):249-261. doi: 10.5326/0420249. Häggström J, Boswood A, O’Grady M, et al. Effect of pimobendan or benazepril hydrochloride on survival times in dogs with congestive heart failure caused by naturally occurring myxomatous mitral valve disease: the QUEST study. J Vet Intern Med. 2008;22(5):1124-1135. doi: 10.1111/j.1939-1676.2008.0150.x. Mizuno M, Yamano S, Chimura S, et al. Efficacy of pimobendan on survival and reoccurrence of pulmonary edema in canine congestive heart failure. J Vet Med Sci. 2017;79(1):29-34. doi: 10.1292/jvms.16-0069.